alcoholic beverages Archives - Africa M.E. ABUJA (Reuters) – Nigeria’s President Muhammadu Buhari has approved an increase in excise duties on tobacco and alcoholic beverages, the finance ministry said in a statement on Sunday. The west African country, which has Africa’s biggest economy, fell into recession in 2016 largely due to low oil prices. It emerged from recession last year, mainly as a result of higher crude prices, and is trying to raise non-oil revenues. In addition to a 20 percent tax on tobacco, the government will add an extra fixed tax per cigarette. A percentage tax on alcoholic beverages will be replaced by taxes of fixed amounts based on volume. The finance ministry said the changes will take effect from June 4 this year. The move would have “a dual benefit of raising the government’s fiscal revenues and reducing the health hazards associated with tobacco-related diseases and alcohol abuse,” it said in its statement. The ministry said the new regime was in line with a directive from the Economic Community of West African States (ECOWAS) regional bloc on the harmonisation of member-states’ legislation on excise duties. 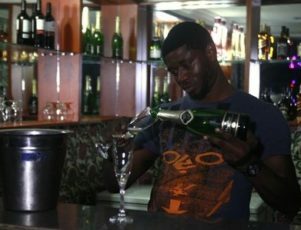 Raising duties in Nigeria for alcohol could further hit consumer demand amid fragile growth. Anheuser-Busch InBev (AB InBev), the world’s largest beer maker, expects its new $250 million brewery being built in Sagamu, Nigeria, to start production in the middle of this year, its head of Africa head has said.